They appear every Spring, but some years they are more of a nuisance than others. This year, black flies are back in full force. 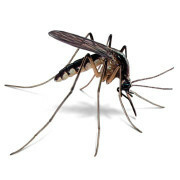 Black flies, also known as buffalo gnats, are small biting flies that live and breed in naturally occurring standing water, like creeks or retention ponds. They are sensitive to weather and are most active on cloudy, humid days with low wind. 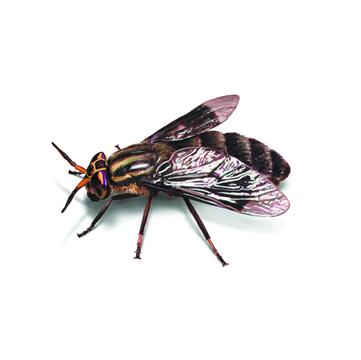 If you live in areas with water, you will likely encounter black flies. While the tiny black bugs don’t carry disease, the do leave behind an itchy welt. “They can be quite a nuisance,” said Steve Main, Environmental specialist with Spokane Regional Health district. The health district says black flies were at their worst in 2012 and the following years the bugs were less of a problem… until now. “It looks like this year is another not so good year,” said Main. While the flies live and breed in wet conditions, our recent warm weather could be a contributing factor to what seems like an infestation. “This year they are more numerous, but that happens,” said Main. On Thursday, several kids started complaining about being bitten while playing at recess on the playground at Moran Prairie Elementary. And with plenty of marsh areas around the school, it’s no surprise they are preying on the students. “There’s little [pincers] on their head and they just pinch your skin until you bleed,” said Main. The playground was closed and after school activities were canceled on Thursday, but with a light breeze in the forecast the flies will be less active, so recess and outdoor activities are already back on. The good news: Black fly season is fairly short. As soon as things warm up and dry out for summer the little pests are long gone. In the meantime, if you want to stroll through the marsh, wear light colored pants and long sleeve shirts and don’t forget your bug spray. If you are bitten, clean the bite and apply topical products to reduce itching. Avoid scratching to reduce chances of infection. Heat-Seeking Mosquitoes Sense The Temperature of Sleeping Humans There's a reason you're always bitten up in bed.